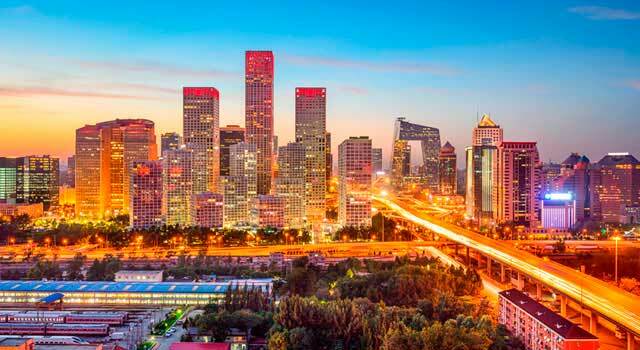 Use this website to quickly find the most important information about Beijing Capital International Airport: Flights (Departures, Arrivals), Parking, Car Rentals, Hotels near the airport and other information about Beijing Airport. Plan your travel to PEK Airport with the information provided in this site. Beijing Capital International Airport (IATA: PEK, ICAO: ZBAA) is the main international airport serving the city of Beijing, in People's Republic of China. Beijing Airport (IATA: PEK) is the second largest airport in the world. The airport is located 32 kilometres northeast of Beijing. Beijing Airport served 100 Million passengers in 2018. There are three terminals, T1, T2 and T3. Terminal 3 is the main terminal of the airport. The airport is located 32 km (20 miles) northeast of the city center, at Chaoyang District, in the suburban district of Shunyi. . In the last decade, PEK Airport has risen as one of the world's busiest airports; in fact, it is the busiest airport in Asia in terms of passengers and total traffic movements. Since 2010, it is the world's second busiest airport in terms of passenger traffic. There is another airport in Beijing called Beijing Nanyuan Airport, only used by China United Airlines. Beijing Airport serves as the main hub for Air China, China Southern Airlines, Hainan Airlines and China Eastern Airlines. Terminal 3 was inaugurated in 2008 for the Olympic Games, being the second largest airport terminal in the world after Dubai Airport Terminal 3. Air China is the main airline in the airport with more than 120 destinations. Now, serves the flights of Air China, Star Alliance and Oneworld members, among others. In 2018, 100 million passengers used the Airport, being the second largest airport in the world in terms of passenger traffic after Atlanta Airport. In 2007, just before inauguration of new T3, the airport was the ninth. 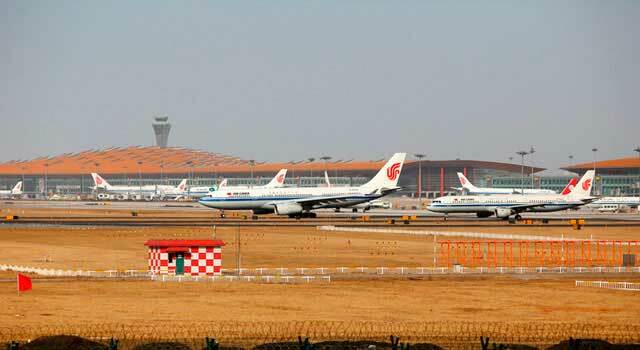 Beijing Capital Airport has currently 3 active terminals: Terminal 1, Terminal 2 and Terminal 3. Terminal 1 and 2 are located together, whilst Terminal 3 is at 5km driving from them. 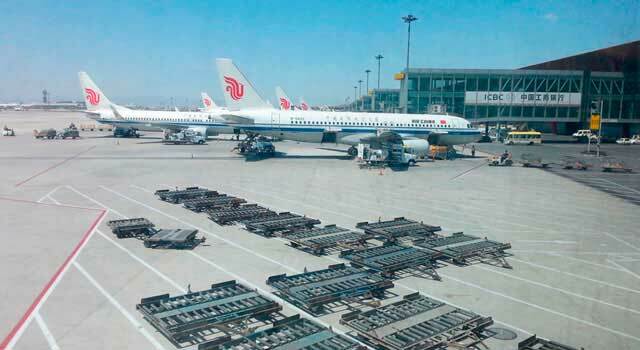 - Terminal 1: Beijing Airport Terminal 1 serves domestic flights operated by Grand China Airlines, Hainan Airlines, Tianjin Airline and Beijing Capital Airlines. 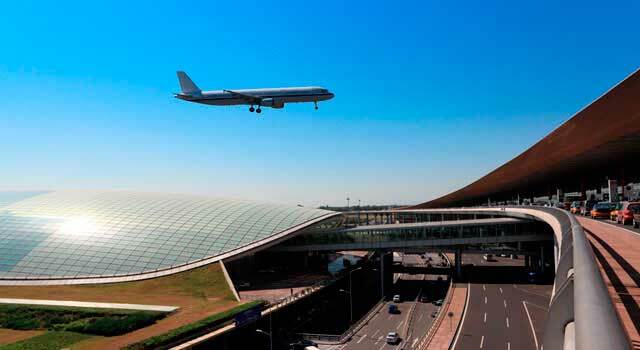 - Terminal 2: Beijing Airport Terminal 2 serves international and domestic flights of more than 35 airlines. Terminal 3 is the main terminal of the airport covering an area of 1,713,000 square meters, with 2,900 meters long from north to south. It was inaugurated in 2008. -T3 D: Serves only used by some domestic flights of Air China. -T3 E: It is dedicated to international flights. Important: Distances in this terminal are really huge, consider more time if flying from here. - Rail: Beijing Subway has an Express line that connects Terminal 2 and 3 from the airport to city center (stops at Sanyuanqiao and Dongzhimen). The trip takes approximately 16-20 minutes. - Taxi: Get within 50 minutes to Beijing from the airport. 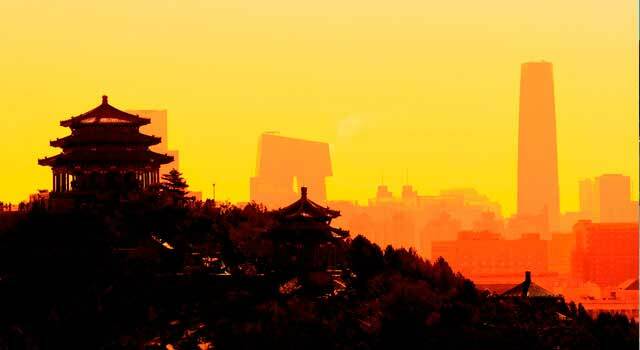 - Bus: There are several bus routes to different parts of Beijing and neighbouring cities. It is necessary to buy the ticket at the terminal prior entering the bus. Terminal 1 and 2 are connected by a public walkway that takes 10-15 minutes. To reach Terminal 3 from Terminal 1 or 2 is it necessary to use shuttle service. Terminal 1 and Terminal 2: Phone: 0086-10-96158.